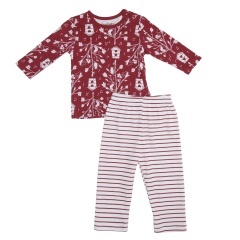 Comfort at its best, this pyjama set will let your baby sleep peacefully. The t-shirt features an attractive bird house print all over and long sleeves. The pyjama feature a striped print all over and long sleeves.